Society: The Techno-Dwarves have constructed the most enduring post-Cataclysmic civilization, forging asteroids and even planets into elaborate subterranean mega-cities. The greatest of the Techno-Dwarven kingdoms is Fornskjoeld, an enormous fortress-city carved into the heart of an icy planetoid and ruled by Asvard the Great, an ancient craftsman and warrior of great skill. 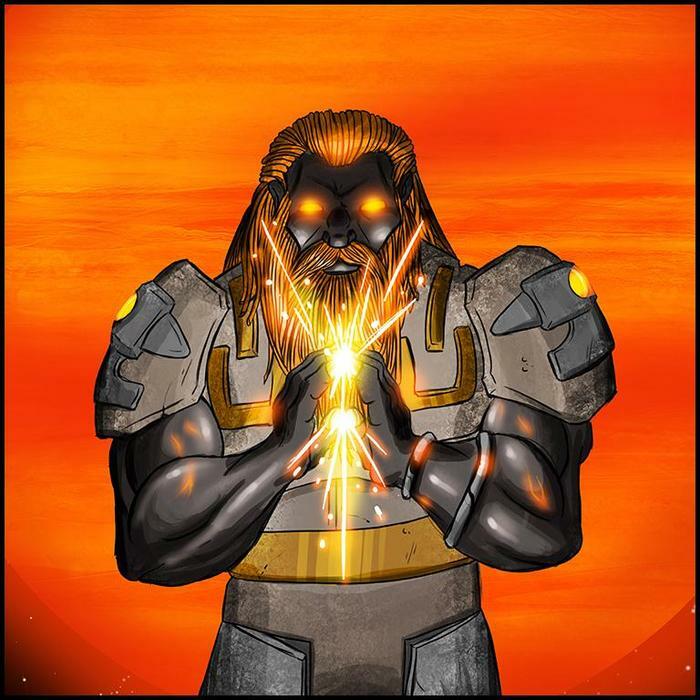 Although relatively few Techno-Dwarves ever choose to leave the confines of their planet-cities, their population and longevity ensure that there are always Techno-Dwarf enclaves in the great cities of other races. Technology: Techno-Dwarf ships are heavily armored and skillfully crafted, each vessel produced entirely without automation. Powered by a combination of nuclear decay and the deutronium generated by its crew, a Techno-Dwarf vessel can operate for centuries without stopping to refuel. Techno-Dwarves export a great portion of their work in exchange for more mundane necessities, but as a rule their most subtle and dangerous technologies are reserved for their use alone.